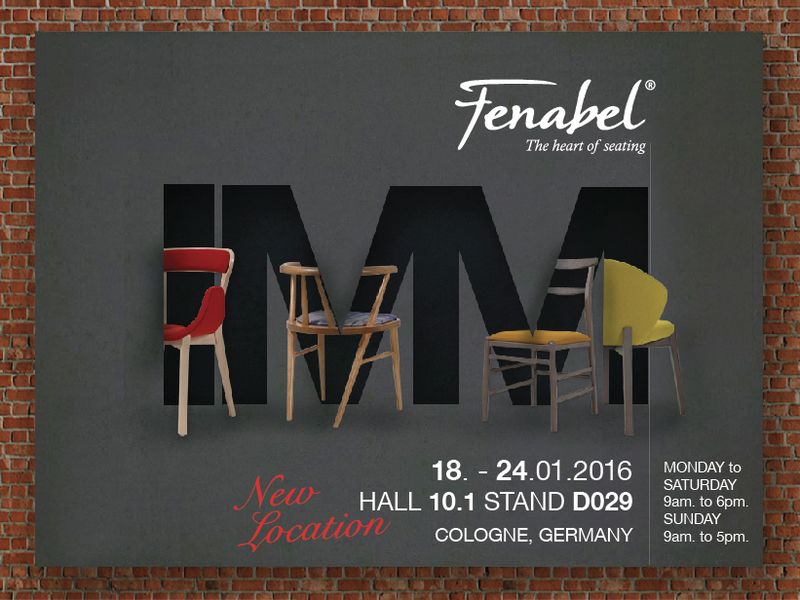 Fenabel- The Heart of Seating, a portuguese producer of chairs, will be present, for the third time, at the IMM fair in Cologne, Germany, taking place from the 18th to the 24th Of January. Fenabel has created 7 brand new collections, that will amaze IMM’s public, considered one of the most important trade shows worldwide in decoration and trend setting. have developed new lines called Karma, Globe, Tao, Bombom, Soft, Bette and Elícia, that will be presented for the first time at this show. Fenabel’s Collection can be found in Hall 10.1, booth D029 at the Cologne Fair.